Getting lost in the sea of online opportunities? 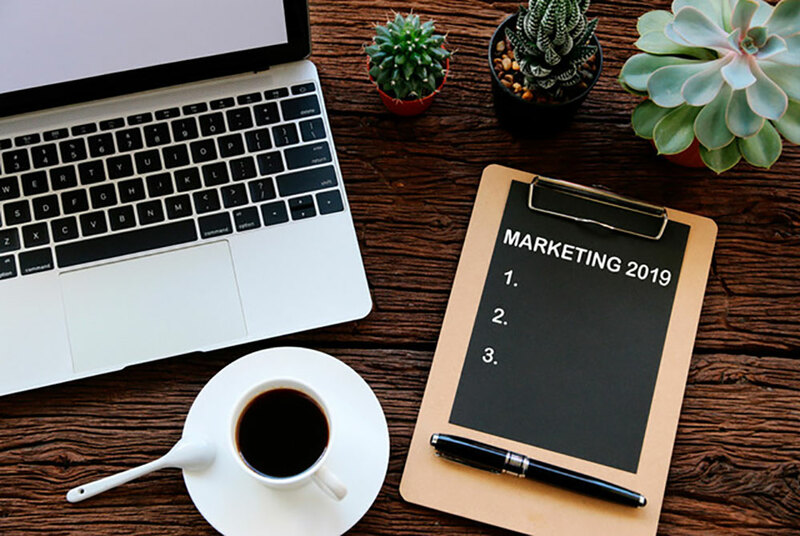 We’ve listed the five trends to watch in 2019; all you need to know to be successful with your online business strategy! When was the last time you went somewhere without your smartphone? Can you even remember? Perhaps just that one time when your phone had been charging, and you left in a hurry…only realizing you’d left it at home 10 minutes later. Probably you felt a bit anxious for not having it with you as most of us are now always connected. More specifically, according to Redcode we now spend 479 minutes per day online (that’s almost 8 hours! ), and this is expected to grow to 486.5 min/day in 2019. So, coming back to that anxious feeling, that is the ‘fear of missing out’, or “FOMO”, phenomenon which is characterized by “a desire to stay continually connected with what others are doing” (Wikipedia wisdom). Social media can often perpetuate this anxiety, when you see posts and pictures about the wonderful time your friends are having without you, and the feeling can be all consuming. That explains why, in 2019, it is estimated that there will be around 2.77 billion social media users around the globe, up from 2.46 billion in 2017. As social media has become and will become even more deeply integrated in almost everyone’s daily life, social ads (i.e., Facebook or Instagram), along with the paid search ads (mostly Google) are key to any company’s survival. This is where people live. They’re no longer looking around, so forget the glossy magazines, billboards or TV ads! The main reason we are now always online, is closely linked to the smartphone. 60% of time spent online is now through mobile devices. Our phone is our bible, our teacher, access to our social life, our everything. Turns out, we are not the only ones: Statista estimates that in 2019 63.4% of the global population will be a mobile phone user! Mobile is now shaping how we do our research and decide what products or services to buy. No longer is it enough to rely on a responsive site design and a mobile app. You need to think mobile-first. Tailor, for instance, ad copy to a smartphone rather than using a ‘one size fits all’ approach. • We are living in different realities! Remember a few years ago, when close to 231 million people were chasing virtual creatures on the streets? To date, Pokémon Go remains one of the most successful examples of augmented reality (AR). Together with its close relative, Virtual Reality (VR), both applications are slowly transforming the media. Unlike VR, which is a totally new, artificial environment, AR turns the real-life environment around us into a digital interface by creating virtual objects in real-time. In this mobile AR market, games will continue to dominate. Several other key app types are also on the rise however. For instance, navigation, home improvement – IKEA’s mobile app where you can actually see how the furniture would look in your house -, and experiences designed by brands to increase consumer engagement. Today’s user basically wants two things – to be engaged and to be an active participant in brand messaging. Both AR and VR can fulfil both of these needs, offering you tremendous opportunities in the field of customer experience. Talking about augmented reality, one of the most widely implemented forms of AI, are chatbots. Chatbots are automated tools designed to simulate conversation with human users online. Absolutely perfect if you want to provide great customer service, but keep your spending in control. Chatbots are quicker than humans in giving any data-related answers and taking requests plus they are available 24/7. More importantly, they deliver the right message, at the right time & at the right place, something we humans have not yet fully mastered. It therefore comes as no surprise that by 2020 85% of customer interactions will be handled by chatbots according to various sources. Not only by anticipating who might engage with an ad, but also by being able to quickly pass on a bid opportunity in their media-buying system. One of the most important ways to get people to buy, is through…Being you! Be authentic. Yes, it sounds as easy as it is. Still most companies are yet to figure this out. Not Redbull. They are a brand with a very strong authenticity tied to strong emotions and being passionate. They don’t just say who they are and what they stand for – creating epic experiences – they show it in everything they do. Take the Red Bull Air Race for instance. It doesn’t get more epic than that! Consequently, over the years they’ve built up a loyal group of fans, known as “brand advocates”, who feel strongly connected to Redbull and therefore talk positively about the brand to others. To them, Redbull embodies everything they strive to be, or are as a person! Whether shouting it from the rooftops or posting it on social media, these fans actually create content for Redbull, so called “user generated content”. It all comes down to the brand’s authenticity; whether they believe you. According to Stackla report, 86% of consumers find authenticity an important factor when deciding what brands to support. This number is even higher among millennials. People place far more trust in their peers than in the brands. We might be blind to ads, but if someone else creates authentic content about a brand (in this case Redbull), it catches our eyes easily, and we believe it. Listen to and promote the stories of your followers online, and you stand out from the competition.